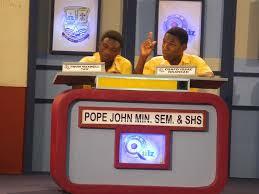 Pope John Senior High and Seminary School (POJOSS) garnered 211 points to win this year’s National Commission for Civic Education (NCCE) Project Citizen Ghana Competition. Islamic Girls Senior High School came second with 210 points, while Krobo Girls Senior High School had 209 points to take the third position. The Project Citizen Ghana Competition is an annual competition, which seeks to teach the youth how to participate in democratic environment and build certain national values in them. The competition demand from participating schools the ability to identify a peculiar problem that exist in their community, research on why that problem exists, how long it has existed and the various components of the problem. They are then required to look at the public policies that should be addressing the problem, but has failed. By doing so, they look at deficiencies in that policies, whether the policy is not working or the actors of that policy are not doing the right things. Students are then required to present their own views of which policies they think could help resolve the defects or if there is the need to replace or review them. They are then required to present a detailed budget plans and the scheme to, which they could address the problem. Mr Alex Sackey, Regional Director of NCCE said, the essence of the competition is not about winning, but inculcating into the participants values that would help them grow up to be responsible contributors to the country. He said, the topics chosen by the schools also goes to highlight some challenges in the society, which might have been hidden and policy makers would help to provide solutions to them. The winners of the competition POJOSS took away a plaque as their prize, while the second and the third schools also went home with plaques.